January sees Scottish schools focusing on Scots language. Addressing this I had a wonderful author visit to Doonfoot Primary School this afternoon where I introduced the P3s to Tartan Witch. Prior to this I read my poem, Learnin’ which is a child’s observation on P1 written in Scots. This was appreciatively received by children and adults. Then P3 teacher, Mrs Falconer, read the English translation while I adopted the persona of Tartan Witch to read the story. We had a great Q and A session with the children asking really relevant questions. 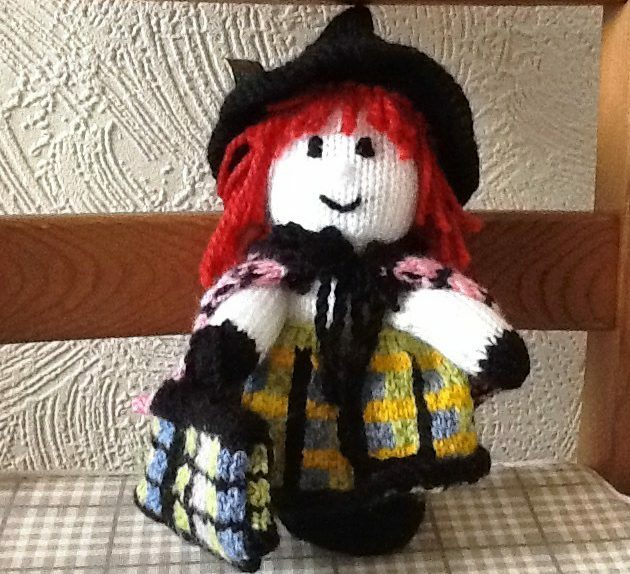 The children are now drawing Tartan Witch and hopefully I’ll be able to publish these here in the near future. A great afternoon, well done children! Well, Tartan Witch and I have returned from our wonderful holiday in Windermere. The scenery was breathtaking with bright sunshine illuminating the richness of Autumn. We visited the lovely wee school in Hawkshead where William Wordsworth attended. She just couldn’t resist posing there! Having come to terms with forgetting to take my laptop charger with me and no hope of acquiring one I surprised myself by re-engaging with pen and paper. I started working on submissions for the Scottish Association of Writers’ competitions and, since returning home, I have a few ready to go! Meanwhile Captain Black, he of the Pirates story, is off to sail the Carribean. No doubt he’ll have many tales to tell when he returns! I am now preparing for school visits and book fairs, all very exciting. I am delighted to report that my books are selling steadily at home and abroad. It’s thrilling to see where they journey. I shall treat you reader to some holiday snaps. Having had a frustrating summer…car problems in France then Mum’s illness and ultimate passing I’ve done little in the way of writing. I did write a ghost story whilst in France(photo) and re-jigged a couple of poems but feelings of guilt are surfacing and I have to address this. Having written this post I feel I will focus on writing and I’ve recently had really positive feedback from readers of Tartan Witch and The Pirates so…. My latest book, How the Pirates Turned the Tide, has many positive messages within the fun story. The pirates learn life skills which will benefit them and the planet. Last month the book was launched at the Scottish Maritime Museum, Irvine when a ‘Pirate Takeover’ weekend took place. I do hope that children will take on board(I like that!) the important messages and spread the word.